The coastal breeze and clean waters of Delaware are ideal conditions for all types of exciting water sports. 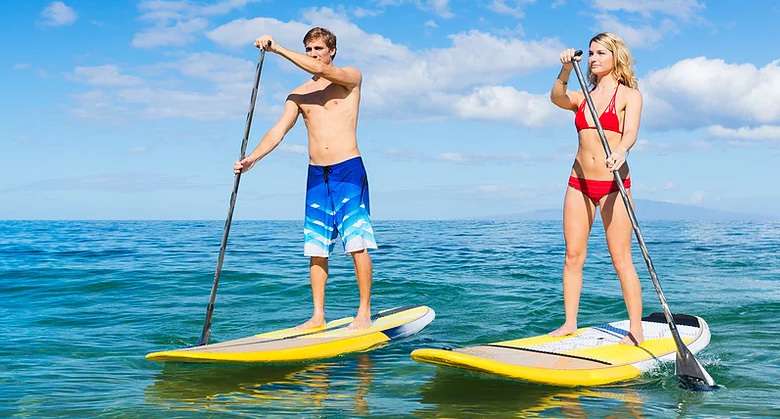 See what the hype is all about with a stand-up paddle boarding lesson that'll burn some calories and earn you bragging rights. Grab a board and ride the waves or cruise along the bay. Rent a Jet-Ski for a bigger thrill. Get up close and personal with the dolphins on a scenic morning or evening cruise. Whatever your adventure needs are, Rehoboth Beach has you covered. Learn to stand-up paddle with a lesson before venturing off into the waters of Delaware. Get ready to glide and work up a sweat on Rehoboth Bay, Broadkill River, and Delaware Bay. Delmarva offers rentals if you want to go off on your own, guided tours, and even stand-up yoga for those looking to connect with nature. Dewey Beach Watersports makes it possible for you to enjoy a thrill of a lifetime when visiting Rehoboth Beach. Kick your beach getaway up a notch. Rent a jet-ski and enjoy a large riding area with an expert guide in the ocean ready to answer any questions along the way. 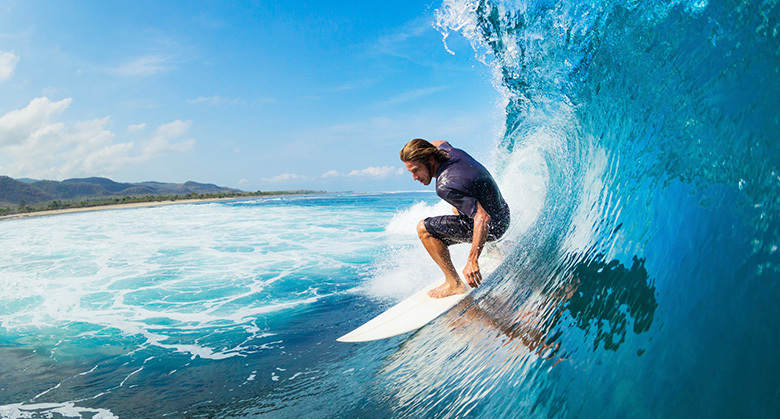 Learn how to catch the waves with a private one-on-one instruction, semi-private, or group surfing lesson. All skills and abilities are welcome. Wear your wet suit and bring your attention so that you can master the art of navigating through fickle waters on your board. This is the best way of becoming one with the ocean of Rehoboth Beach. 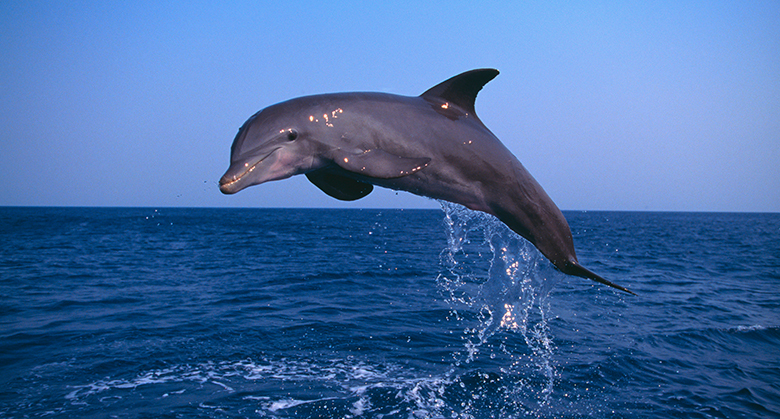 Every year thousands of dolphins make their special appearance to the Delaware Coast. Dolphin Cruises depart from Fisherman's Wharf located on the canal in Lewes, DE. Enjoy a morning sail with complimentary continental breakfast included. Fisherman's Wharf also offers afternoon as well as evening cruises. How old do you have to be to parasail in Rehoboth Beach? Anyone who is at least two years old and not pregnant can parasail as part of a tandem. The total weight can’t exceed 425 pounds. If you’re going alone, you should weigh at least 125 pounds. Each parasailing trip takes an hour and each participant is in the air for roughly 12 to 15 minutes. Can I rent jet skis in Rehoboth Beach? 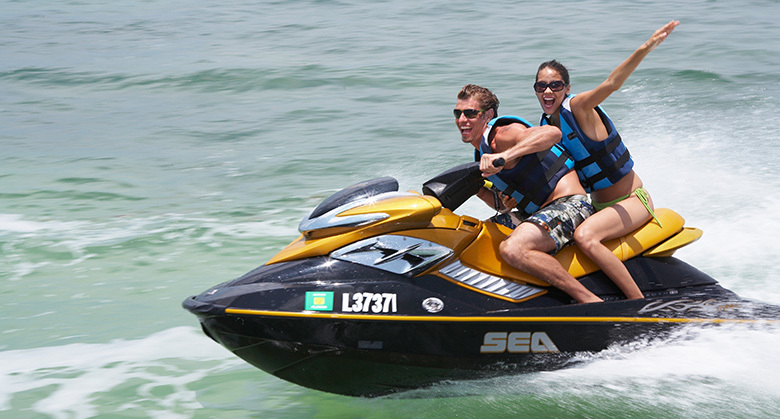 Yes, all your jet-ski and boat rental needs can be satisfied at Dewey Beach Watersports, just south of Ruddertowne. An hour costs $99 and a ½ hour is $79. Life jackets and a brief lesson are included. There are also plenty of boats to be rented if you’re looking for a calmer time on the ocean and bay.